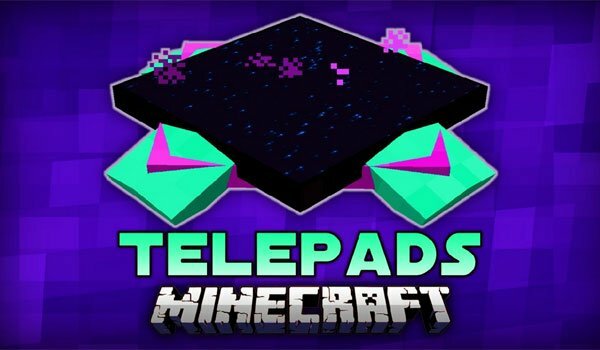 TelePads 1.7.10 and 1.7.2 is a really easy mod that lets you create an object called “TelePad” which will allow us to teleport from one place to another quickly, even from the mine tor home or between dimensions, from the specific point in the Nether, up to a specific point in your world. To do this we only place the TelePad floor and immediately assign a name, in order to have various destinations easily localized for later on. Once appointed, we get a “note” called “TelePad Register” to record the coordinates of all points or TelePads. This mod can use both single-and multiplayer games with our friends. How to install TelePads Mod for Minecraft 1.7.10 and 1.7.2? Download Bookshelf (only for 1.7.10 version). Paste the “Bookshelf” downloaded file into .minecraft/mods folder. Paste the mod downloaded mod into .minecraft / mods folder.